This high carbon, stainless steel blade is hand finished at Victorinox in Switzerland by skilled craftsmen. A special tempering process is used to produce an edge that can be resharpened over and over again. 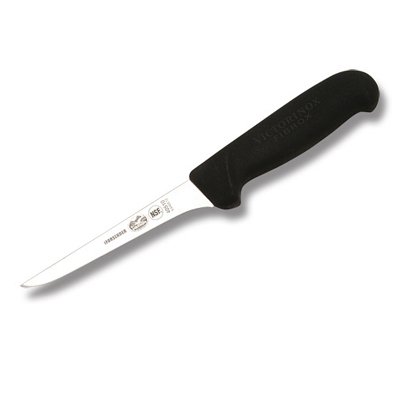 This allows the knife to keep its original sharpness throughout the entire life of the blade. The handle is ergonomically designed to minimize wrist tension. The patented Fibrox handle is NSF approved, dishwasher safe and slip resistant.